Or view larger version. NYC 6th Ave. EL. c 1943. Dorothea Lange, photographer. Gelatin silver print. Collection of the Oakland Museum of California. Gift of Paul S. Taylor. 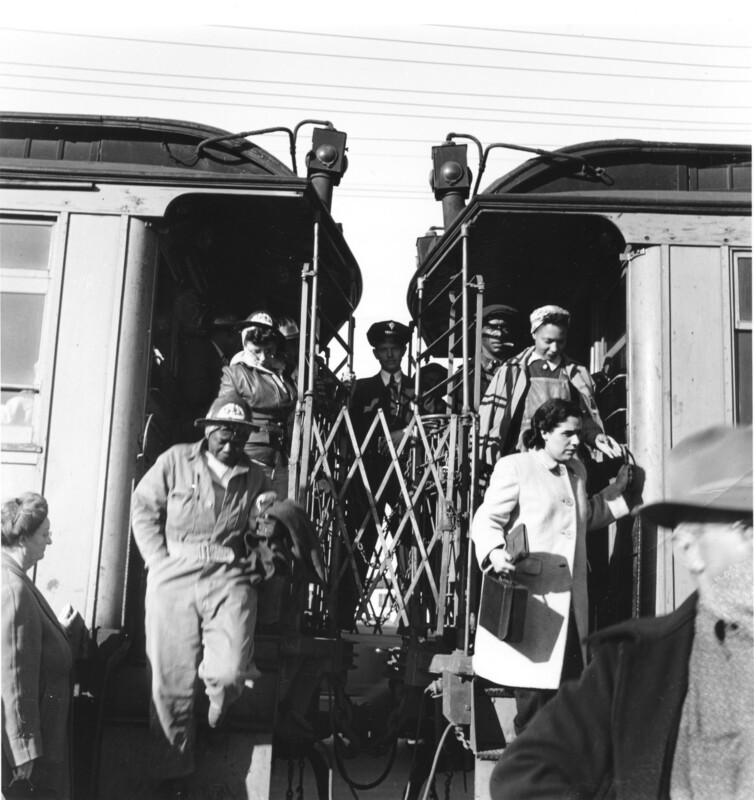 This photograph shows wartime workers exiting a streetcar on their way to work. The street car was brought to Richmond from the east coast and used to transport workers living in Oakland to the shipyards in Richmond. Throughout the war, women from all backgrounds, and from all over the country, worked at jobs such as welding, riveting and operating cranes while maintaining their traditional duties as mothers and homemakers.